With this acquisition, the fragmented browser market was brought under the calming wing of a single plugin. Animation? No problem. Audio? Got it covered. Video? Shhhhh, little bird, your worries are whispers on the wind. Papa bear will take care of everything. And so he did. From Thai restaurant websites to massage therapy websites, Flash stepped in and offered to be everything to everyone. Until one day, a man known to his friends as Steven Paul Jobs, CEO of Apple Computer, had a choice to make. He was preparing to release a new device, a sort of phone-walkman mashup, and he had to decide if there was to be a chair at the table for the king. If he was to accommodate Flash on this new iPhone, he would need to play the same game that browsers play and put an engine in just for Flash. But this was an expensive proposition. These engines burned processor cycles, and most importantly, battery life. Flash didn’t handle touch well, and there were also security concerns. Jobs decided to draw a line, declaring that Flash had no place on his new device. It was a choice that would set in motion a chain of events that would end the reign of the most popular plugin in the history of the web browser. As web browsers evolved, and the iOS operating system exploded in popularity, we all began to emerge from our Flash-caves. The bright light of an advanced and native implementation of Flash’s greatest hits, right in the browser, was blinding at first. It was as though a bronze era hunter-gatherer emerged from his cave only to be confronted with a state-of-the-art Ronco 5-Tray Food Dehydrator. HTML5 and CSS3 frightened and confounded us at first. But with knowledge comes trust, and now in many cases these versatile languages have taken the place that Flash occupied in the web developer’s toolbelt. When Do I Need Flash? First, you must ask yourself: Do I need Flash? The are many cases where the answer is a justifiable yes. I can has cat videos? For the most part, everything that can be done in Flash can and should be done in HTML instead. There are exceptions, but Flash should always be a last resort. 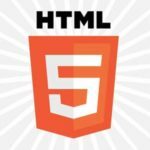 So, if you’re ready to transition from a Flash site to an HTML site, here are some things to know. The ability to embed fancy fonts into a Flash file used to be a life saver, if that sort of thing mattered to you. But now we have the ability to create webfonts right in the browsers. The process is still a little clumsy (you have to generate several different files to accommodate a variety of popular browsers), but it works. Or you could just use a webfonts set like Google Fonts or Typekit and call it a day. Video has come a long way since it was promoted to a first-class citizen in the browser. The controls are implemented differently in each browser, but don’t let that stop you from implementing your own controls so they look and behave the same across browsers. This one was a dealbreaker for many developers, because when it came to video, Flash used to be the only game in town. Since Flash never worked on iPhones and iPads, this greatly hastened the adoption of HTML5 video. Now, we can all play videos of skateboarding accidents on our iPads at full volume in the food court. Everyone wins. This one is still tricky. A new technology called WebRTC is being planned for the next generation of browsers. 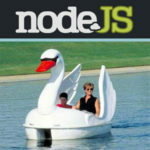 It plans to implement real time communication between any two equipped browsers. Until this is completely sorted, you might just have to rely on Flash. Which brings me to my final point. The auto updating browser has changed the developers job substantially, and mostly for the better. Yes, new technologies have always been coming around, but when browsers started updating their own feature sets adoption became almost instantaneous. Back when Flash was king, users often had to manually download the latest version of the browser they were using, so huge lags in adoption would develop. Some people never left IE6. Nowadays, browsers are seen as mission-critical software, that need security and bug patches ASAP. With those patches come new features, so when Google decides to implement its <blink> tag in the next version, 98% percent of people with Chrome can see implementations of that tag the next day. It’s instantly a feature I can trust to be in most browsers, and so can you. So lay down your Flash, and leap into this brave new world. You won’t regret it. Until the next thing comes along, and people make fun of you for using HTML5. 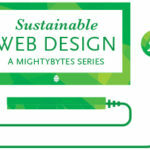 Mightybytes is a full-service creative firm for conscious companies and a certified B Corporation. Connect with us on Twitter, Facebook and Pinterest or fill out our contact form.